Earlier today, reports surfaced that a draft has been prepared by a nine-member K Kasturirangan committee on the New Education Policy (NEP) which stated that Hindi be made mandatory till Class 8 across the country in a bid to implement an “India-centric” and “scientific” system of learning in schools. Currently, Hindi isn’t compulsory at schools in many non-Hindi-speaking states, such as Tamil Nadu, Karnataka, Telangana, Andhra Pradesh, Goa, West Bengal and Assam. As per a report in The Indian Express, the key recommendations in the draft prepared said, “Adhere strictly to the three-language formula with Hindi mandatory till Class 8 across the country, ensure a uniform syllabus nationwide for Science and Maths, develop a script in Devanagari for tribal dialects, and promote education based on hunar (skill)”. According to some committee members, the draft report was handed over to the Ministry of Human Resource Development (HRD) last year in December before its tenure came to an end. “We have sought a meeting with the HRD Minister to hand over the report formally,” a member of the committee said anonymously. 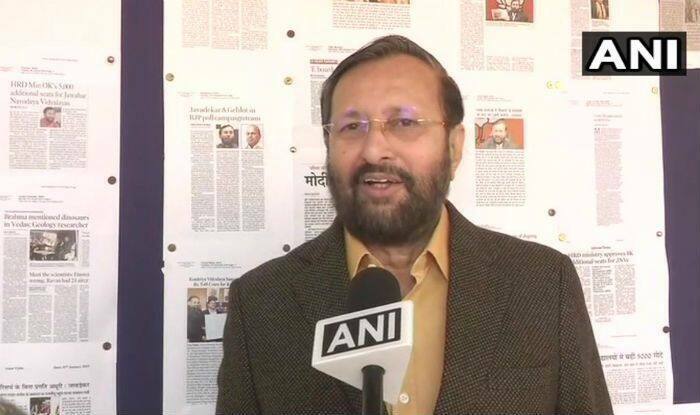 “While subjects under Social Sciences need local content, there is no logic for a varied syllabus for Science and Mathematics in different state boards up to Class 12. Science and Mathematics may be taught in any language, but the syllabus should be the same in all states,” sources said. As per reports, the NEP has also advocated for developing a syllabus for up to Class 5 in local languages, such as Awadhi, Bhojpuri, Maithili, etc., in areas where they are spoken. “Also, there are several tribal dialects that either has no script or are written in the Roman script due to the influence of missionaries. The NEP says that Devanagari will be developed as a script for these dialects. It says that we need an India-centric education system,” said sources.